Do you have some ideas to help Tourism New Zealand with their marketing in the short term? 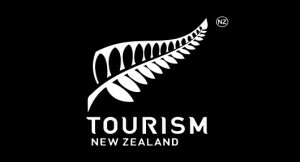 We think many of the blog followers do and so hope you will take the following opportunity to provide it in a more formal feedback process to Tourism New Zealand. Kevin Bowler welcomes your input into Tourism New Zealand’s three-year marketing strategy which is currently under development. You can complete the online survey here. It will be open for two weeks, closing at 5:00pm Wednesday October 17, 2012. When ever I travel overseas I seen to literally “bump” into an Air New Zealand plane branded with some kind of iconic kiwi symbol placed onto the side of it. I really do think this type of advertising is some of the very best that I have seen yet, especially at some of the largest international airports that I have visited. The last one that I saw was a “Middle Earth” plane decorated with bright vivid colors in the middle of Singapore. Guess how many people I had noticed stopped to take a look! Lots.